His confidence was not misplaced, either. He saddled his first winner under National Hunt Rules, Palmers Pride, in the autumn of 1990 and finished his “rookie” season with a record 31 winners and just over £100,000 in total prize money. Hammond continued his progress through the training ranks, saddling 35 winners in 1991/92 and 51 winners in 1992/93, which was the most successful season, numerically, of his training career to date. He couldn’t better that total, but subsequently saddled 45, 42, 34, and 47 winners, respectively, in the next four seasons. By the time he moved to his new yard at Oakwood Stables, Middleham in 1997, he was firmly established as one of the top ten horse trainers in the country. Indeed, he achieved his first major success with Deep Water in the Glenlivet Anniversary 4-y-o Novices’ Hurdle at Aintree in April 1998 and his second with Heidi III in the Pertemps Great Yorkshire Chase in January 2001. He didn’t stay retired for very long, because just over a year later he was lured back to training by the owners of Oakwood Stables, Sunstar Racing. Hammond said, “I always intended to return …with just two winners to go for my 500, I had to do it.” After negotiating what he called the “low time of my life”, Hammond effectively started from scratch in 2001/02, but has since successfully rebuilt his business. In 2015/16, he enjoyed his most successful season ever, monetarily, with over £313,000 in total prize money. 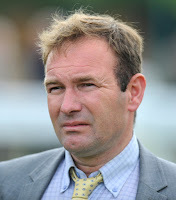 Michael “Mick” Appleby – not to be confused with Godolphin trainer Charlie Appleby – was conditional jockey to John “Mad Manners” and head lad to Roger Curtis and Andrews Balding before launching his training career in 2010. 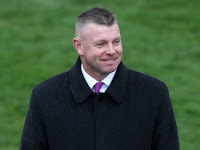 Appleby is a Southwell specialist, having been crowned champion trainer at the Nottinghamshire track from Danethorpe Stables, near Newark-on-Trent in 2014, 2015 and 2016, and again in 2017 from Langham Racing Stables, near Oakham, Rutland. At the last count, Appleby had saddled 103 winners from 653 runners at Southwell over the last five years and earned just shy of £645,000 in total prize money. After training just three winners in his first season, Appleby improved his total to 15 in 2011, 40 in 2012 – the year in which he saddled Art Scholar to win the Betfred November Handicap at Doncaster – and 61 in 2013. In 2014, he won the William Hill Scottish Sprint Cup at Musselburgh with Demora and his first Group race, the Betfred TV Chipchase Stakes at Newcastle, with Danzeno. Collectively, those two victories alone contributed over £96,000 to his seasonal total of £694,000, which took him beyond £500,000 in a season for the first time. After several successful years at Danethorpe Stables, which he rented, Appleby bought a 75-acre site in Oakham in rural Leicestershire and invested a six-figure sum in transforming the former polo yard into a state-of-the art training complex. He moved his string to his new premises in early 2017 but, despite losing out on a few winners as a result, still had his second best season ever, with 91 winners and over £740,000 in total prize money. Danzeno, once again, made a significant contribution, winning the totescoop6 Heritage Handicap at Ascot, worth £62,250 to the winner.